At The Korte Company, we’ve designed and built more than 2,000 structures nationwide, including a broad range of facilities. We’re seasoned in gym construction and design, and this build for Wellbridge is one of our finest gym construction projects. Founded in 1983, Wellbridge is headquartered in Denver, Colorado and provides upscale athletic clubs, spas, and fitness and wellness centers throughout the United States. 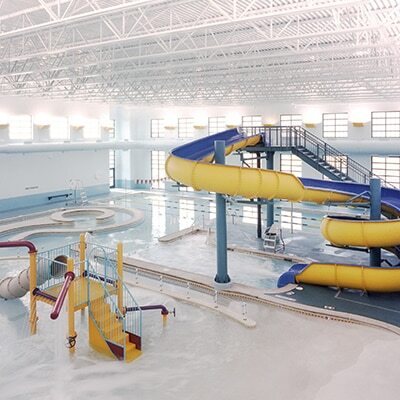 It is the third largest health club nationwide. They operate more than 50 clubs in 16 markets. Wellbridge awarded The Korte Company with a project to construct a 20,000-square-foot addition and renovate18,080 square feet at the Greenwood Village Colorado Club. This project includes a full-size basketball gymnasium, a four-lane lap pool, steam rooms, saunas, locker rooms, showers, a weight gym area, a cardiovascular area, an aerobics room, and a spinning room. We’ve proudly completed a range of gym construction and gym design projects.